Alonso Moleiro, the Vice President of the Venezuelan Journalists' Association (CNP), said that the government's alleged intention to democratize public broadcasting frequencies, is actually meant to censor nationwide radio stations. The intention is to eliminate some radio anchors -- a group of well known people that voice opinions and political views that disturb Venezuelan authorities. No government is going to concede that it is a censor. They are disguising censorship as democratization of the media, the journalist said. Moleiro described as fallacious the government's rationale to launch administrative procedures against several radio stations: It is not true that the radio networks are monopolies, and that they belong to one single family ... they are local radios that have united voluntarily to maximize programming. The Committee to Protect Journalists is deeply concerned by your recent announcement that regulators may revoke the concessions of 240 radio stations for failing to update their registration papers. We believe that this decision is yet another attempt by Venezuelan authorities to expand pro-government media, control the flow of information, and suppress dissent. On July 3, the National Telecommunications Commission (CONATEL), Venezuela's regulatory agency announced that 154 FM and 86 AM radio stations failed to update their data with regulators by a June 23 deadline. On July 9, during a presentation before the National Assembly, you announced plans to further regulate cable and satellite television stations that broadcast largely Venezuelan-produced content. Your country's broadcast regulations, which contradict international standards on freedom of expression, include a measure requiring all broadcasters to carry live President Hugo Chávez Frías' cadenas--his nationwide simultaneous radio and television broadcasts. In your speech before the legislative assembly, you said both decisions are intended to democratize the airwaves. During a July 16 interview with state-owned television station Venezolana de Televisión, you said that the government could also take over 50% of Globovisión's license because one of the two people granted the concession has died, the press reported. Globovisión, known for its antigovernment views, has been the target of a barrage of government investigations. CPJ believes that your recent announcements and the persecution of Globovisión is part of a strategy to strengthen state media in order to control the flow of information and limit critical ideas and opinions. The ongoing battle against the private media has fostered an atmosphere of fear and intimidation that is having a negative impact on the work of the press. While your government has the right to regulate the airwaves, it must not use this authority to violate Venezuelans' basic human right to seek and receive information, as established by the Constitution. We call on you to put an end to the persecution of critical media outlets, and to guarantee that the regulation of all broadcast concessions is unbiased and transparent. The Venezuelan government has ordered the closure of 34 radio stations, the head of national telecommunications regulator Conatel has said. They will have to cease transmission once they have received the order from Conatel, said Diosdado Cabello, who is also minister of public works in President Hugo Chavez's government. Cabello said: These are the first 34 decisions that we have taken, and warned that more closures may follow. The Government of Hugo Chavez closed down 34 radio stations across Venezuela over the weekend, prompting claims by opposition critics that he was trampling freedom of expression rights and triggering angry street protests in Caracas and other cities across the country. President Chavez, below, has a record of trying to muzzle both radio and television broadcasters who criticise his push to turn Venezuela into a socialist state. As protests spread, however, 200 people gathered outside the main offices of the CNB radio network which was forced to end its over-the-air transmissions on Saturday with continuing service available only on the internet. This is only the beginning of the closures of free media in Venezuela, warned the station's director, Zaira Belfort: This is a government attack. We want to keep living in democracy, and once again they've silenced us. Dozens of militant supporters of President Hugo Chavez stormed an opposition TV station yesterday in an escalation of Venezuela's media war. Around 30 activists with red berets forced their way into the Caracas headquarters of Globovision, lobbed tear gas and threatened staff with handguns. The raid came amid a government crackdown on critics of Chavez's socialist revolution, a campaign which human rights groups have condemned as an attack on free speech. In recent days the government has revoked the licences of dozens of radio stations and proposed a law which would jail people deemed guilty of media crimes for up to four years. Footage aired on Globovision showed activists from the UPV, a radical left-wing party which backs the president and dresses in quasi-military gear, arriving on motorbikes and rushing on foot into the station. The intruders, led by a prominent Chavista named Lina Ron, waved banners and reportedly injured a guard and a police officer while tear gas seeped through the complex. Chavez has repeatedly assailed Globovision – the South American country's last opposition TV network – as an instrument of oligarchs and US imperialists who are waging media terrorism. However, the government swiftly distanced itself from the raid. We condemn this attack energetically and reject this type of violent action against Globovision, said the interior minister, Tareck El Aissami: We don't accept that violence is the instrument to solve our differences. A Venezuelan cable television channel critical of President Hugo Chavez has been taken off the air after refusing to air footage of the president's speeches. Radio Caracas Television, an anti-Chavez channel known as RCTV disappeared from TV sets shortly after midnight after the government cited noncompliance with new regulations requiring that Chavez's speeches be televised on cable as well as terrestrial television. 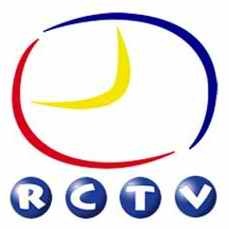 RCTV was dropped from cable and satellite programming just hours after Diosdado Cabello, the director of Venezuela's state-run telecommunications agency, said several local channels carried by cable television had breached broadcasting laws and should be removed from the airwaves. Cabello warned cable operators that they could find themselves in jeopardy if they keep showing those channels: They must comply with the law, and they cannot have a single channel that violates Venezuelan laws as part of their programming. RCTV's removal from cable and satellite television prompted a cacophony of protests in Caracas neighborhoods as Chavez opponents leaned out apartment windows to bang on pots and pans. Others shouted epithets and drivers joined in, honking car horns. They want to silence RCTV's voice, said Miguel Angel Rodriguez, the channel's most popular talk show host. But they won't be able to because RCTV is embedded in the hearts of all Venezuelans, he said. The U.S. Embassy in Caracas expressed concern about the decision. Access to information is a cornerstone of democracy and provides a foundation for global progress. By restricting yet again the Venezuelan people's access to RCTV broadcasts, the Venezuelan government continues to erode this cornerstone, Embassy spokeswoman Robin Holzhauer said. A Venezuelan television channel that takes a critical stance toward President Hugo Chavez accused the government of excluding it from a new digital television system, and it warned that the action could force it off the open airwaves. Globovision is the sole remaining television channel in Venezuela that takes a stridently anti-government line. The channel said in a statement that it was arbitrarily excluded from the digital TV system despite having taken steps to be included during meetings that officials held to launch the project. Vice President Nicolas Maduro announced the launch of the digital TV system saying that state channels will be participating as well as private channels including Venevision, Meridiano and Televen. He and other officials did not address the complaint raised by Globovision. Globovision has long clashed with Chavez's government, and in recent years the National Telecommunications Council has opened eight investigations against the channel.